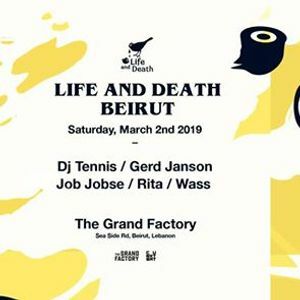 DJ Tennis brings Life and Death to Beirut for a stop at The Grand Factory, the Lebanese capital’s celebrated house and techno stronghold. 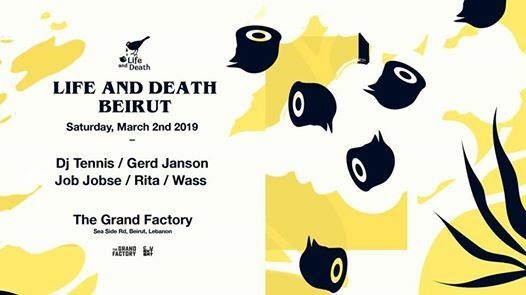 Home to a large community of Life and Death loyalists, Beirut’s The Grand Factory will host performances from multifaceted selectors, Gerd Janson and Job Jobse, who are set to appear alongside DJ Tennis, the Italian label’s chief. Perched atop the city’s skyline, amid both the mountains and the sea, The Grand Factory offers fully panoramic views of across Beirut’s unmistakable landscape.